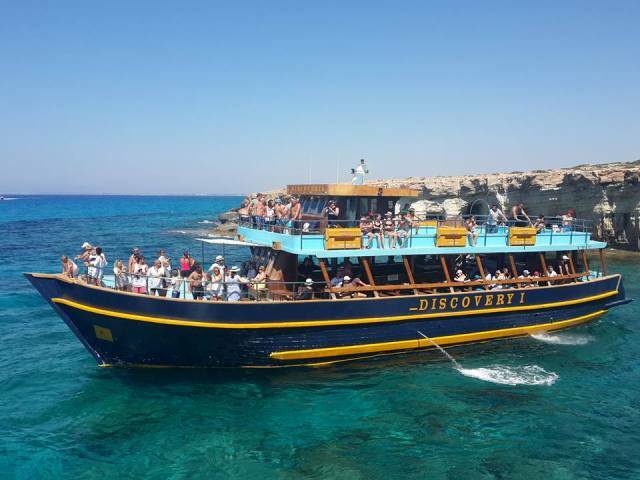 You will be collected from your hotel and taken to the pretty harbour of Ayia Napa to board the Discovery Boat for this sightseeing lazy day cruise along the stunning Cypriot coastline. 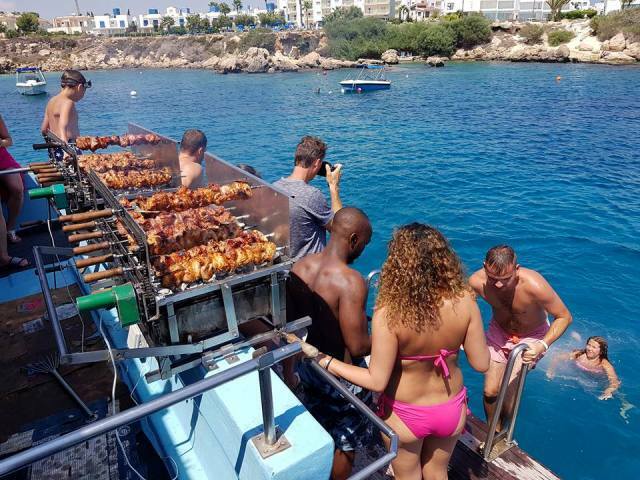 The cruise heads eastwards past Ayia Napa's beaches and there is full live commentary on board. The first place you visit is the Ayia Napa sea caves where you will hear tales of pirate legends. Continuing to the impressive rocky summit of Cape Greco, there is chance to swim or snorkel at the beautiful Konnos Bay. 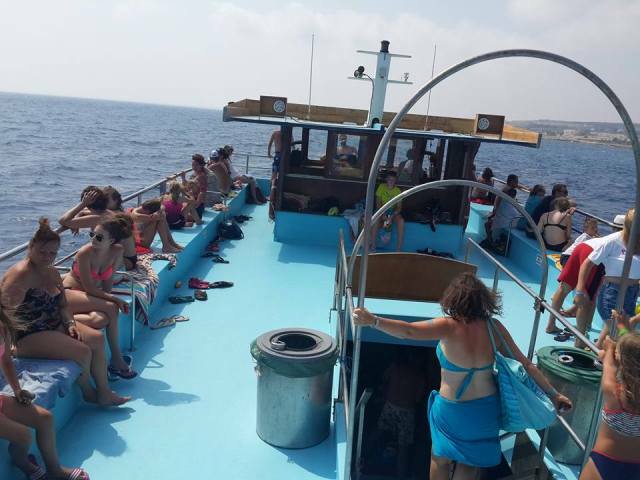 Soak up on the sun and top up your tan on the sundeck or enjoy a refreshing dip in the crystal clear waters of the Mediterranean sea. There are plenty of gorgeous sights to take photo's of along the journey and you can also make a new friend on board when you meet Coco the parrot. Children are especially keen to meet Coco and like to keep him company during the trip. 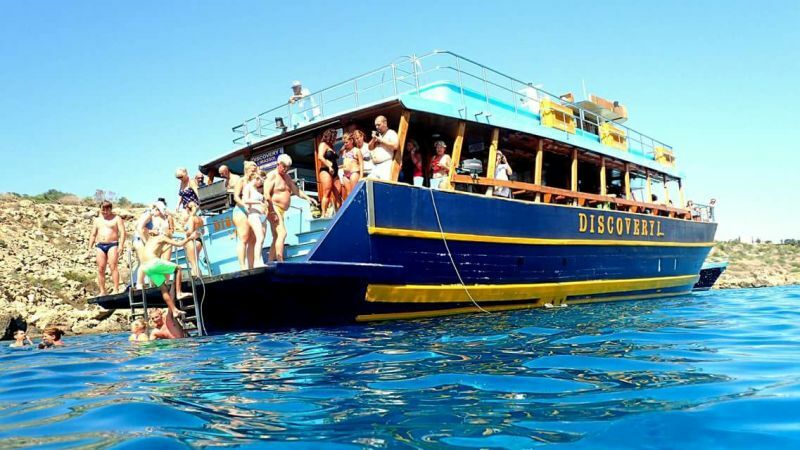 Perfect for families, couples and friends, the discovery cruise is a full day magical journey upon this comfortable boat. 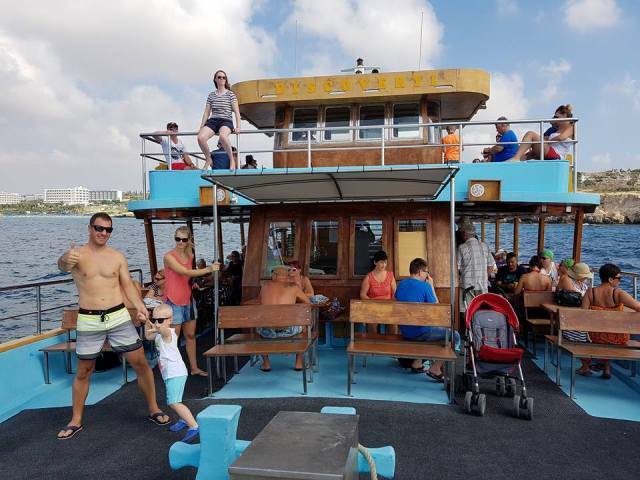 There is a bar on board as well as showers and toilets and there is seating both inside and outside, as well as the sun deck for sun bathing. Departs: Tuesday, Thursday and Saturday from April to October. What to bring: Towel and swimwear, sunhat, sunscreen.